Bramble Box brings you lovely monthly subscription boxes for kids designed to allow your little ones to learn while having tons of fun. 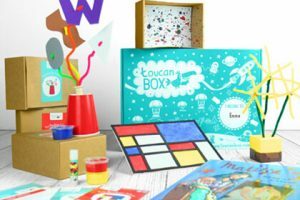 The boxes are created with children aged 3-7 in mind and contain exciting pretend play and craft kits that allow the kids to explore the world around them. In each kit, you get enough materials for at least 2 or 3 interesting and educational activities. 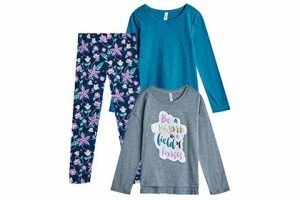 Every box features a different theme and may focus on anything from math and science to writing, reading, and a variety of arts. Once at checkout, you can choose the themes for your boxes, including such fun options like Doctor, Post Office, Pizzeria, Wizard Science, and Thanksgiving. The boxes are created and approved by parents and tested by children, so you can be sure that they are both interesting to the little ones and well-suited for their age. In 2016, Bramble Box received the Parents’ Choice Recommended Award for its beautiful Pizzeria Pretend Play kit. You can purchase a monthly subscription or opt for a one-time purchase. The price per box is $25.95. 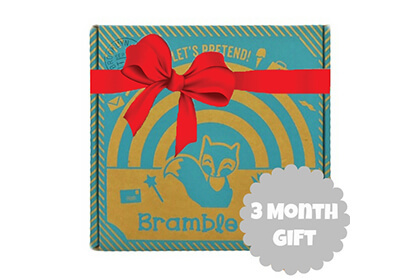 You can also give Bramble Box as a gift, in which case you can choose from the 3-month subscription, costing $75, and the 6-month subscription, which costs $144. Shipping costs are included in the price. However, residents of Hawaii and Alaska need to pay an additional $1.95 fee while Canadian residents have to pay an $8.95 shipping fee. Our ratings are the result of an objective and independent evaluation of Bramble Box, generating the final rating that reflects the overall quality of the product. Ratings may change as the service changes. No user reviews yet! Be the first to review Bramble Box. There’s no Bramble Box coupons or discounts right now.